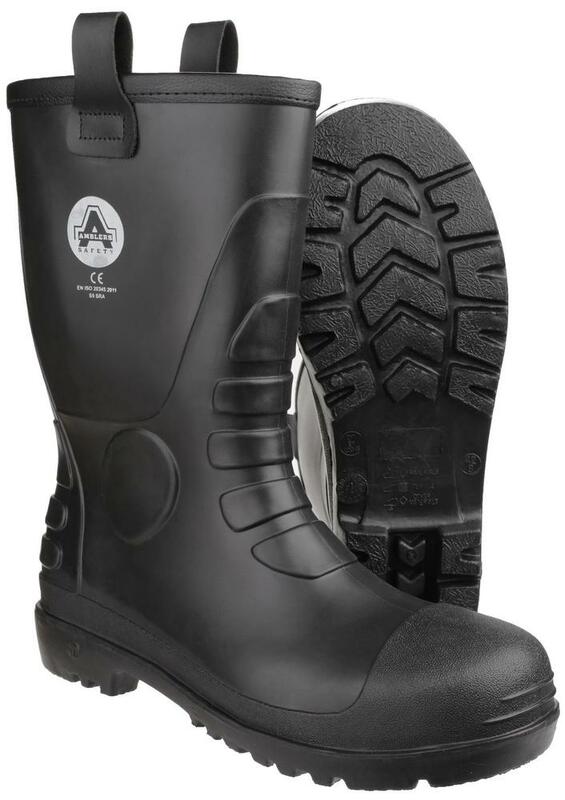 FS90 Black Rigger Safety Boot from Amblers with impact and compression resistant steel toe cap. 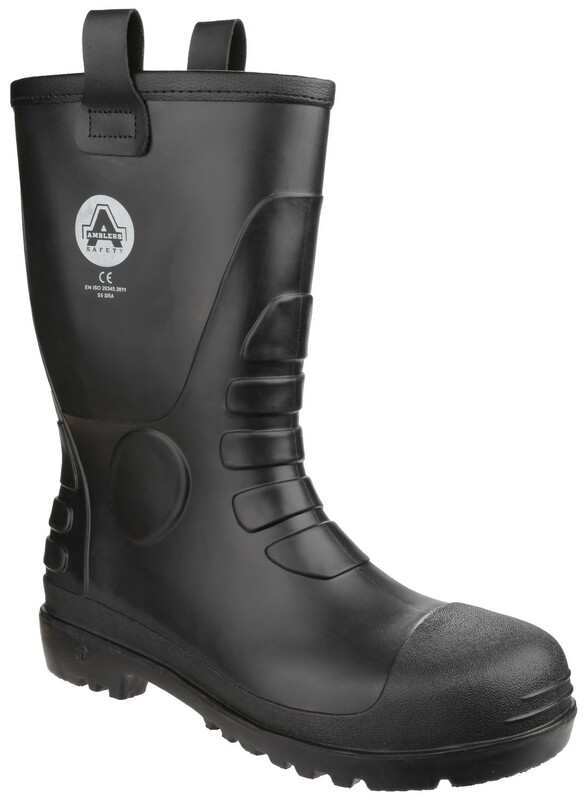 Anti-static rigger boot with an energy absorbing heel. 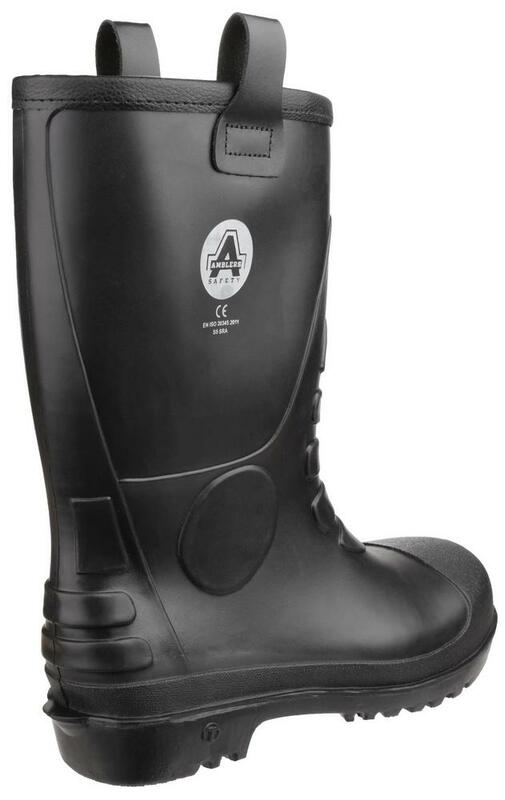 Amblers FS90 rigger/wellingtons are made with waterproof PVC upper. 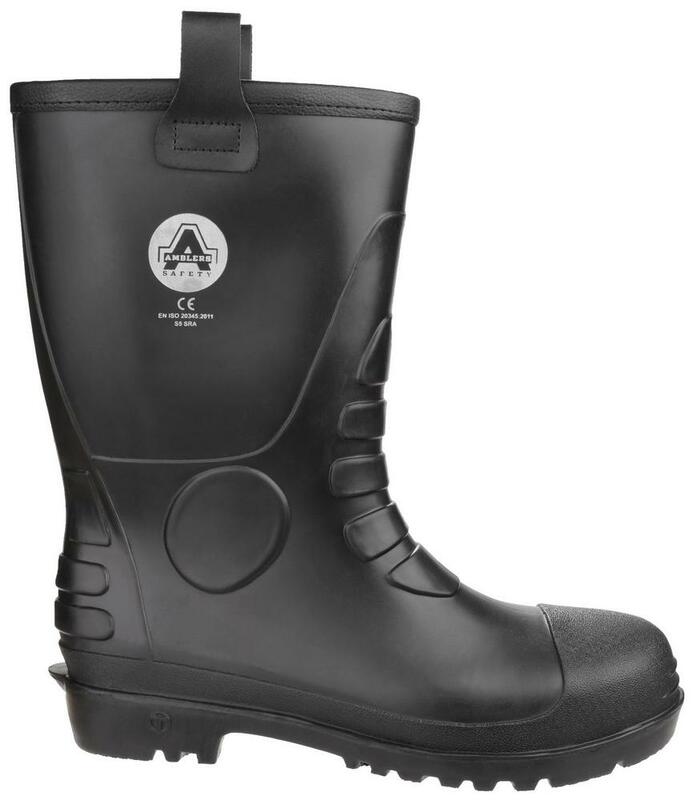 Safety Amblers footwear comes with penetration resistant steel midsole. Slip resistance SRA standard for resistance against slipping on ceramic surfaces covered with water and cleaning products. Textile lined boots for extra comfort, will keep your feet warm whilst working outside. Penetration resistance. Antistati. Toe Protection.